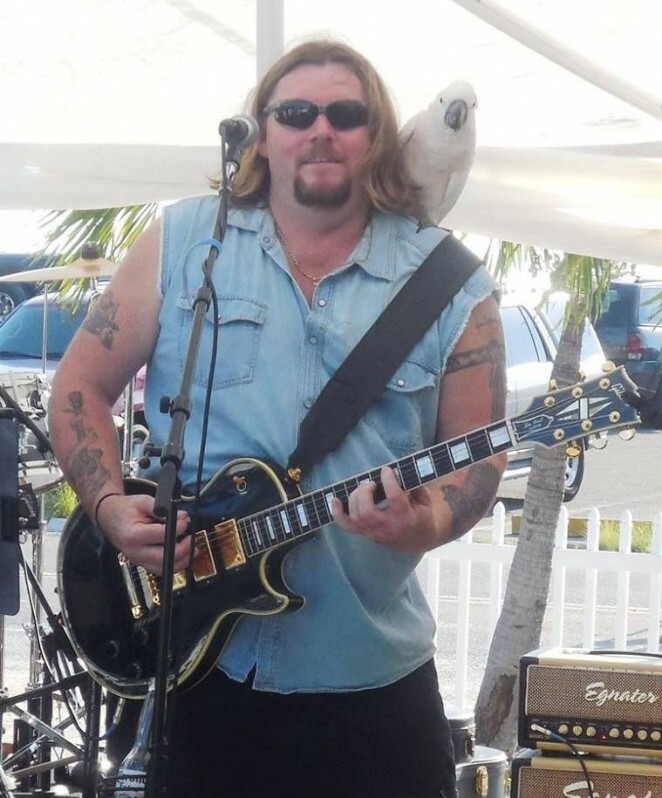 New Jersey based singer, songwriter and southern style rocker Kenny Young has been around, seen a thing or two and captures his life experiences honestly and openly in his music. As with many musicians, life got in the way of creating music for a time. For Kenny it was a ten year hiatus. It took until 2009 for Kenny to release his debut 4 song EP, a recording which gave us a glimpse into the heart and mind of the man. In 2010, he was able to put a band together, record a bunch of hard rockin’ tunes and release ‘Simple Things’ a 14 track full length album. The creative juices haven’t stopped flowing and last year The Kenny Young Band released ‘Been Down That Road’ a 7 track EP. The band has also been gigging heavily, playing some impressive support slots and building upon an ever increasing fan-base. 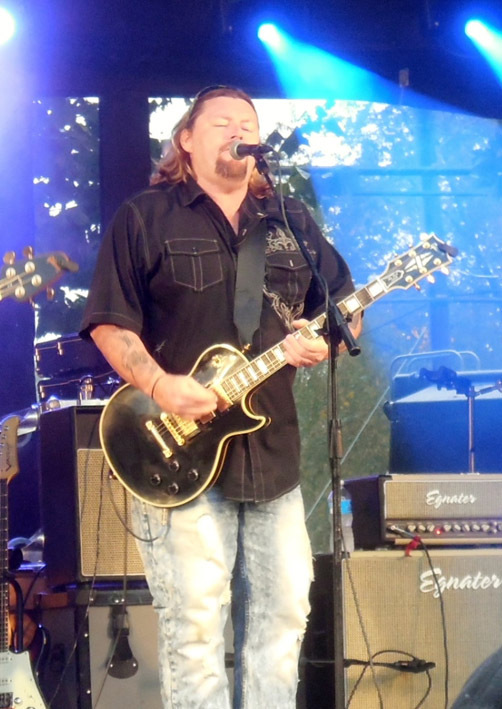 If you’re into Lynyrd Skynyrd, Allman Brothers and all manner of Southern style rock, you might want to check out the Kenny Young Band. Australian Musician tracked own Kenny for a quick Q&A about his career, gear and music. My first guitar was a Sears Les Paul copy that my dad gave me. What’s your main guitar now? Through what amp and why? Egnater Rebel 30, I love the tone. Do you have other guitars you use on stage and in the studio? Which pedals are your standards? If you could have any other artist’s guitar in the world, whose would you want? That would have to be B.B. King’s guitar “Lucille” all around a beautiful instrument. In March of 2014 we released our latest 7 song EP “Been Down This Road” which is available on cd baby.com and other downloadable sites. When will you be back in the studio? I have currently been in the studio working on my next album that should be released by this spring. What gigs have you been playing lately? The latest gig was Deerfield Twp. Harvest Festival with Lonestar. The K.Y.B. has also played numerous clubs in Florida and locally. We also have been shooting a music video for “Weekend”, which we will be finishing up shortly. The most memorable gig would have to be opening up the show for the Outlaws at the Weinberg Center for the Arts – in Frederick, MD. and @ The Ferguson Center for the Arts in Newport News VA.
That would have to be when my former drummer came in at the wrong time and twice as fast as he should have, and then after that, my direct box died halfway thru a song at the same show. Album that changed your life? What album are you listening to at the moment? What gigs are coming up in the next few months? We are currently in the process of booking bars, venues, fairs, festivals and bike rally’s up and down the east coast. The next gig is Feb.7th @ Gettysburg Rocks in PA a fundraiser for children battling cancer. Upcoming Radio interviews also. A guitar tip for the kids? Practice and play what YOU want to play. What’s the grand plan for the Kenny Young band?